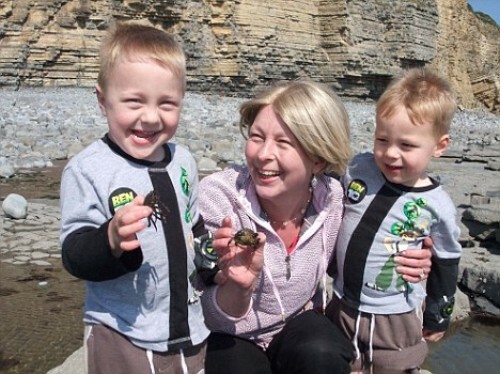 Mum's List heads to the U.S.
A British mother's wishlist for her two young sons that became a bestselling book in the UK is due to be released in the U.S.
Kate Greene was 37 when she was diagnosed with breast cancer while she was pregnant with her second son, Finn, in 2005. When Mrs Greene found out that further treatment would not be successful she wanted to leave a 'to-do' list behind for her husband, St John, who is known as 'Singe'. The list became the book, Mum's List: A Mother's Life Lessons to the Husband and Sons She Left Behind. Initial interest in the book resulted in a £100,000 publishing deal, a top spot on the bestseller list, as well as rumours of a film version of the family's life. Mr Greene told ABC News that its success has helped finance some of his wife's ideas from the book. Mum's List will be available in the US on June 5th, published by Dutton, Penguin. Rights to the book have so far been acquired by publishers in twelve foreign language territoires.